This book is a must read for any psychologist, psychiatrist, therapist or counsellor dealing with a young client undergoing cancer treatment. A cancer diagnosis can profoundly affect a young person’s psychological, emotional, developmental and cognitive functioning. The environment in which they find themselves is unpredictable and burdened by challenging decisions. It is vital therefore that no matter what your therapeutic approach, you are able to identify the normal reactions that young people and their families experience when dealing with their cancer, both while treatment is happening and when it is completed. This will enable you to better tailor your therapeutic interventions and manage your client’s psychological symptoms. A strong clinical focus throughout the text provides guidance and structure, showing how to work effectively with young people through learning the language of cancer diagnosis and treatment so that the therapeutic skills you already possess are translatable to cancer-related issues. Through the use of composite case studies, examples, and clinical guides, Toni Lindsay brings her many years of experience working with young people and their families into a practical and insightful guide to upskill even the most senior of clinicians. She explores the clinical implications of treatment, diagnosis, survivorship and end of life, and the way that young people experience and negotiate their way through such adversity. 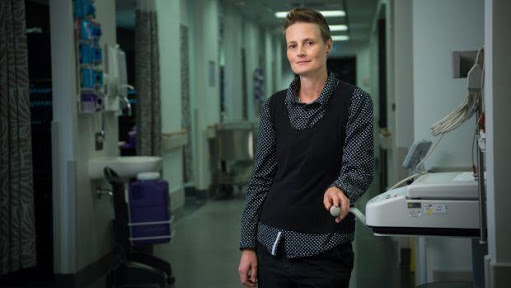 She works at Chris O'Brien Lifehouse in the Oncology and Haematology departments, and is a specialist in the care of Adolescents and Young Adults with cancer. In addition to this work, she sits on several committees and working parties about the psychological impact of chronic and acute health conditions. Toni teaches in the University of Sydney Nursing School and is passionate about working with and teaching health professionals about the psychological impact of cancer on both patients and health care professionals. Her therapy style is a bit eclectic, and works from both a Cognitive Behaviour Therapy, Acceptance and Commitment Therapy, and Existential Psychotherapy framework. She is an AHPRA approved supervisor and provides clinical supervision for both psychologists and other health professionals.